This is not a design exercise and not even a speculation of how the next generation Fiat Punto would look like. It’s clear that it will take some more time to arrive as European car market faces its worst time in 17 years and makes no sense to launch a new generation. It is also evident that current generations shrinks in sales ranking and Fiat needs urgently a better offer in this competitive segment. No matter when the car will be launched (it is expected in late 2014), the new Punto must be something really new in the segment. Certainly Fiat is working on that and for sure the new generation will not disappoint anyone. But Fiat should do more with this expected generation. People will look for something else. It is why Fiat must offer a new car in terms of shapes, technique, features, but also in terms of positioning. By the time it will arrive, a new generation Ford Fiesta will come too, while the new Polo would be one year old. French would be showing the first facelift of their Clio and 208. The tough task will be to conquer those clients that moved to other options in the segment. As the Punto will continue to get old, those clients that drive one will choose other options in the segment when they will change their car. For sure, most of them will not want to buy the same car again. So, 2015 Punto will have not only to compete as usually with its rivals from Germany and France, but will have to bring those clients back to the brand. But if Fiat continues to do the same, they will get the same. A good design is not enough. Next generation Punto should be offered in 3 different versions in terms of bodytype, style, design and positioning, in order to increase the target and income coming from the stylish-chic version. As ‘B-Segment’ is Europe’s largest one and Fiat is the leader in ‘A-Segment’, much more smaller, then Fiat should apply its knowledge and leadership skills in ‘B-Segment’. How? first of all Fiat should consider the idea of creating a specific line of ‘chic-retro’ products for other segments. It has worked in ‘A-Segment’ with the successful 500 which is not a direct rival of successful Fiat Panda. And now they took it to MPV Segment with the 500L. With next Punto they should develop the regular car for the mass (a 5 door hatchback for 5 passengers) but also a specific version for those looking for something more. It could be the 3 door version but with a different approach. Fiat has so many nameplates it could use again in order to enlarge 500 success in other segments. In ‘B’ one they could do the same they did with the 500 and Panda. The Punto could do Panda’s role in terms of design and target (for the mass) while a stylish version of a 3 door Punto would work as the 500 does in ‘A-Segment’. Another good example would be what Citroen does with its C3 and DS3. It’s not only about changing the shape of the car, but the approach. Some one could say that the MiTo is due to perform this task. Certainly the MiTo, which I don’t think it should exist yet, is the premium offer of Fiat Group in the segment. But in the future it should also be positioned as the premium-fancy-sporty small Italian car to make a difference with a coming stylish Punto (using Fiat 500 features in terms of positioning and design) and a really sporty Abarth Punto. In this scenario Fiat could use a single platform for 4 different kind of cars: the volume one, the chic-retro one, the premium one and the sporty one. Creating a more fancy and stylish Punto would mean more income for Fiat as small cars are not too profitable. 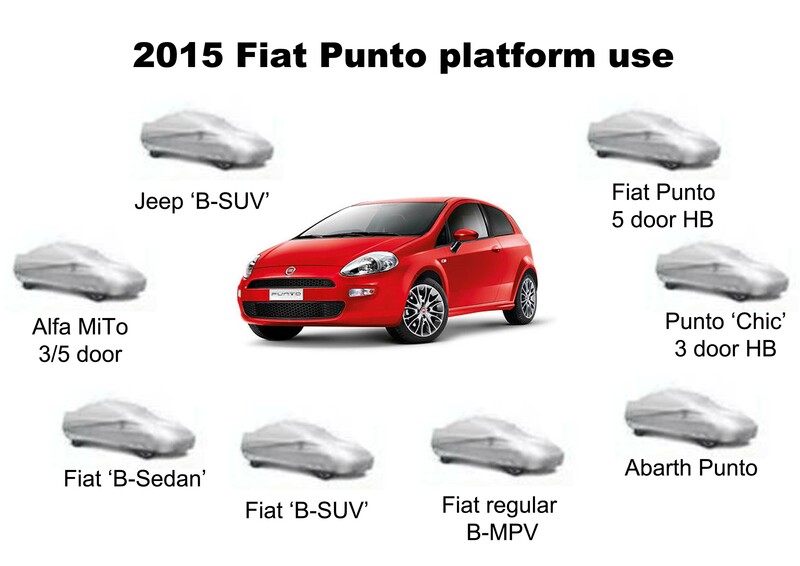 The new Punto platform should serve also for the base of future products of Fiat brand, Alfa Romeo and Jeep. And maybe for some other brands (Mazda?). At the same time when projecting the next Punto, if nothing is ready yet, they should think more of Brazil. Current Punto is sold there but it could do more. Soon Brazilians will want more: technology, features, design and quality. Their income will make them to look for better cars no matter if they are a bit more expensive. The next Punto should take into account these particular needs in order to become a top seller over there and become the next option when current Palio buyers will want some more. Finally, this formula should be applied in other segments. For example, Fiat just launched the 500L and is positioning it as the ‘City Lounge’ minivan. With new Punto they should also offer a regular one with a complete different approach. 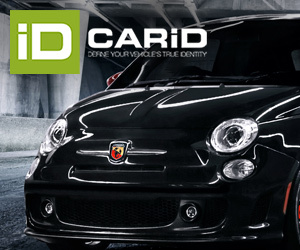 Fiat 500 has worked everywhere it is presented and Fiat should learn more from it. Where did you get the projected 2014 launch date? The industrial plan presented by Marchionne last week had no Punto redesign, update or facelift in 2014 — or even in 2015. 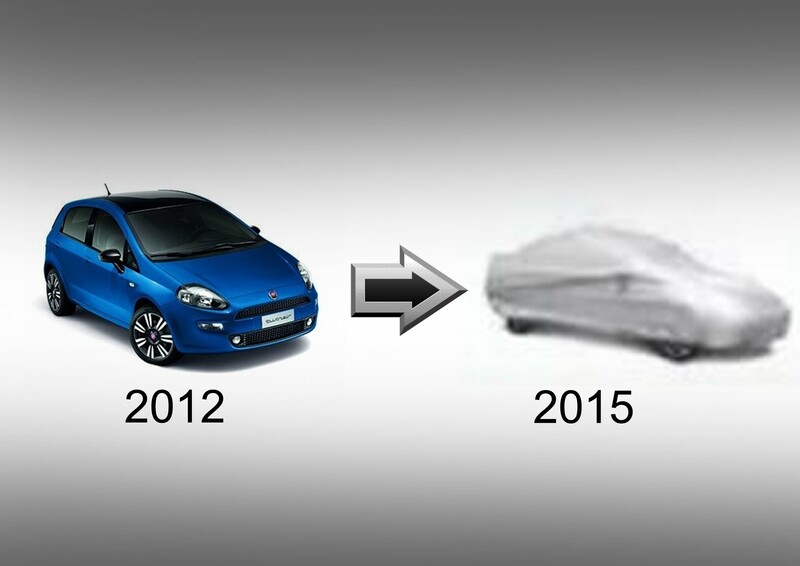 Based on that, we won’t see a new Punto until 2016 at the earliest. Marchionne expects the market to recover in late 2014. If plans continue like that Fiat would be presenting the new generation by that time and will be available in 2015. 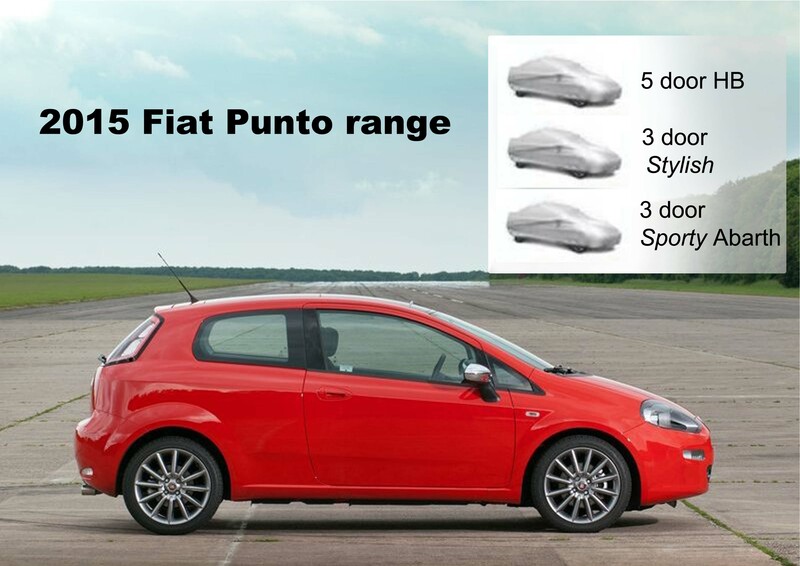 The Punto is a key product. They can’t wait that long, and I am sure by that time Fiat will be part of big alliance with another car maker from Asia, which could help on this project. I agree that they can’t wait that long … but right now it looks like 2016 at best, not 2014. Maybe things will change yet, but for now I’m going to assume that there won’t be any new Puntos on dealers’ lots until 2016, otherwise Marchionne would have included it in his “product offensive”. The same goes for the MiTo replacement, too. AN: Could we expect a larger 500 to eventually replace the Punto? Marchionne: I wouldn’t worry about that. The Punto is in production, but I think ultimately the Fiat brand will end up being 500 or Panda based. Everything else is irrelevant. At least it would be more differentiation from the MiTo. But for me, it would be a little bit sad to see the Fiat lineup reduced to just the 500 derivatives and the Panda in the future. That’s a pretty narrow focus for each brand, not easy to get beyond 2M units with that, I fear, even if each of the products is a good one. great ideas..but is B segment..are you sure fiat can win?Citroen completely create a sub brand..B segment can be important in NAFTA too,and i don’t think will be able to sell a product like that..500 style can’t be everywhere!will annoy!After the punto?C segment?500 family for sure,but nothing else!Good site by the way!Congrats! I got it..but i think 500 should be a side family..other models should be like panda philosophy..smile,functional,smart,usseful etc..and how i see the market is just impossible selling a punto with a higher price..first what about the next mito?second will be very hard to improve the model..remember,the new clio is the way to have a premium car,but they are pushing dacia in all low cost models..taking more costumers as they can..fiat unfortunately don’t have a low cost brand! I notice that a 5 door Mini is on it’s way, so the Mito will fill that space. From recent hits it looks like the B segment Fiat will be some sort of crossover. How about dusting of the 600 name to follow the success of the 500? Italy is not short of design talent to avoid making it look cheesy. Fiat must not ignore b-segment. Fiat Will make the biggest mistanke ever not getting the punto to the market asap! If they reduce the fiat brand to 500 and 600 Fiat Will end up like Saab or mini. No no no. Make a new model to compete directly with up/skoda/seat. Keep 500 as is with minor/regular product updates/value added features, (including 500L, b/C segment SUV/crossover and get punto finished as 3d, 5d, Sedan/hatch and sw. Not in 2015, but NOW! Punto is Key for fiat ……..hope they see it.